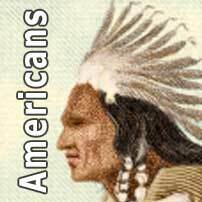 This article has been extrapolated from various existing tracts in an attempt to identify possible links between the native American cultures of the north and south and those of the Mesoamericans. Mesoamerican influence on the culture of the eastern United States has long been recognised and variously discussed in the literature of the past sixty years. While the majority of these discussions have recognised the existence of [a] relatively direct diffusion from Mesoamerica to the south-eastern United States, they have dwelled primarily on attempts to correlate traits and establish the possible routes of contact... The cultural exchange between Mesoamerica and the south-eastern United States may have begun as early as 3000 BC. Mesoamerican Glyph Motifs on South-Eastern Pottery, David Sutton Phelps. History is now being reinterpreted through the new knowledge and understanding of peoples who built towns and even cities (such as the Mississippian Mound culture city of Cahokia). These consisted of pyramidal mounds and other forms of monumental architecture which surrounded huge ceremonial plazas. For instance, in examining the most recently-discovered archaeological evidence for Cahokia, Alice Kehoe (Professor Emeritus of Anthropology at Marquette University) suggested that this largest known centre of Mississippian culture would be better termed as a state. She argued that the Mississippian culture, often called the mound-building culture, had close trade and communications links with the civilisations of Mesoamerica (such as the Mayas, Aztecs, and their predecessors and contemporaries), and that this link is readily apparent in the archaeological record. Mesoamericanists will be interested in the connection I found between Osage priest texts and the Vienna Codex - see Osage Texts and Cahokia Data. Another work, Ancient Objects and Sacred Realms, includes my paper suggesting that the name 'Powhatan' was a praise name which originated as the Mayan word 'pahuatun'. Kehoe emphasises that, from the earlier, false notions of ancient native American history, much has been missed in the archaeological record of the Americas that is only now coming to light. She argues that trans-Gulf contact between the Mississippi Valley and Mesoamerica was quite likely, with communication and trade occurring either on foot, by canoe, or both, leading to clear similarities in the culture, religion, and art of the SECC, the American Midwest, and Mesoamerica. [The] tenacity in rejecting Mississippian-Mesoamerican contacts even when evidenced on Gulf of Mexico shells [which were] transported to eastern Oklahoma, is a strong example of the power of core beliefs in this discipline. The burden of proof lies with Alice Kehoe and her supporters, and it is an archaeologist's mantra that an absence of evidence is not evidence of absence. Kehoe goes on to state that the Toltecs may have traded, perhaps via nations in the Huastec territory, across the gulf and up the Mississippi, although this lacks hard evidence (other than filed human incisors), and even hard evidence for Highland Mexico itself in this period is relatively limited and subject to much debate. 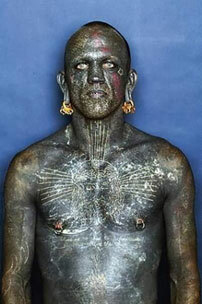 [The pre-Columbian] Huastecs also had contact with the Mississippi Basin in the south-eastern US, as shown by the similarities in the motifs on luxury items in both places... [Huastec art figures] frequently sport extensive and complicated tattoos [just as the Tula encountered by de Soto had tattoos around the nose and mouth). Mexico's Indigenous Past, Austin et al. SECC stands for South-Eastern Ceremonial Complex, often referred to as the Southern Death Cult or Southern Cult, had a wide-reaching influence across most of the eastern United States. It marked the abandonment of Middle Woodland mound building and embraced Gordon Willey's Temple Mound II period. This is where the search for Mesoamerican links takes a somewhat diversionary turn, focussing on a northern group which seems to have practised some unusual ideas. Here De Soto reached his most westward point in the United States. Here was the capitol of the warlike Tula tribe of Indians who fiercely fought De Soto and his men. Relics found in this vicinity suggest the romance of past centuries about which history will ever be meagre and incomplete. Arkansas State History Commission, 1936. The Tula lived in the far northern frontier regions of Caddo territory and far beyond the western frontier of the Quapaw. The Osage lived far to the north, and when their hunting parties raided the peaceful local farming villages of the Caddo, they conspicuously avoided the Tula. The Tula were like other North American Indians in many ways, but they were unique amongst all of their neighbours. There were at least four small Caddo bands in the area but, contrary to comments by some historians, the Tula were not Caddo. Yes, the Tula spoke some of the Caddo language, but they did so for trade purposes and as result of intermarriage with people from nearby villages. Their primary language was not Caddo and it remains unclassified. Unlike any tribe in North America, the Tula raised ducks and domesticated turkeys. They planted amaranth and yam beans, a turnip-like root, which were unknown to any local tribe. The Tula also built religious structures such as sweat lodges, and meeting places were built in the shape of a pyramid! Another bit of evidence in support of the claim that the Tula were not Caddo is that local tribes were horrified by the deformed heads of the Tula. The sixteenth century Spanish chroniclers wrote that the Tula practiced cranial deformation and they tattooed their bodies. They fought using large spears. 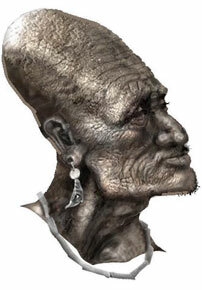 Intentionally elongated or flattened skulls are associated with several ancient Mesoamerican cultures such as the Mesa Verde Cliff Dwellers, the Inca of South America, and the Toltec of Central America. The Tula tightly bound the heads of infants so that their heads became pointed or flat. Some historians say that the Tula were ancestors of the Spiroans, builders of the Spiro Mounds of Oklahoma, or the Tunica of Mississippi, or the Wichita Indians of Texas. There is little evidence to support this notion and none of these assumptions is correct. Evidence for contacts, for shared ideas, does exist in similarities between Early Post-Classic Mexico and contemporary Mississippian (as covered by Carlson 1981; Hall 1984; & Gillespie 1991). Some of the strongest parallels are in iconography (especially if mound-and-plaza architecture is counted as iconography). 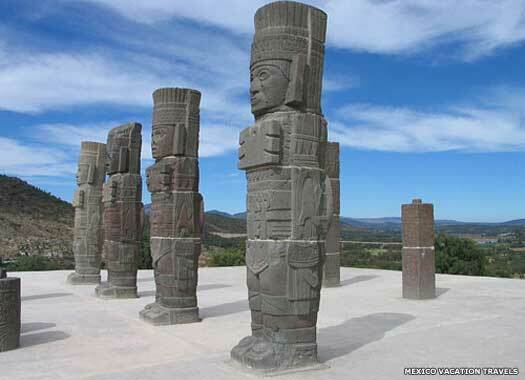 Many of the sculptures have adornments identifying them with Quetzalcoatl or with death gods. It has also been noted that Huastec ceramics have been found at Tula Xicocotitlan in the state of Hidalgo, and Tula is listed by some as a Huastec site, which supports recent scholarship which views Tula Xicocotitlan not as a Toltec culture but rather as Huastec, although the ancient Tula may well have tutored the Toltecs in earlier times. 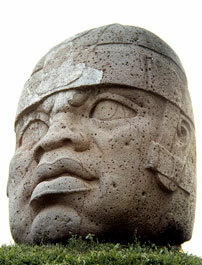 Aztec myths also speak of a 'Huastec Lord' at Tula (Trigger et al, 1996). Text copyright © Mick Baker and sources. An original feature for the History Files.